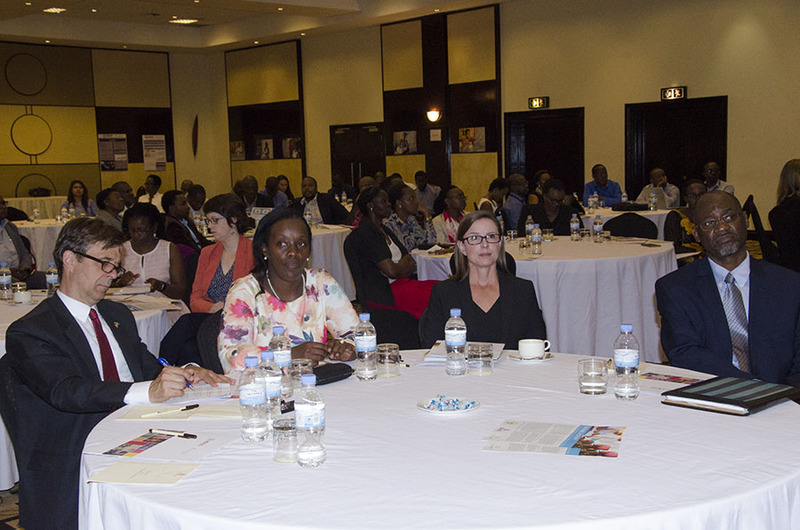 Kigali, October 1st, 2018: The United States Agency for International Development (USAID) has launched a new, 5-year project of 41.5 billion RWF which will work hand-in-hand with the Government of Rwanda to improve child and maternal health across Rwanda. This will focus on improving and standardizing a suite of healthcare services including reproductive, maternal, neonatal, child health, and malaria services in 20 districts in Rwanda as Minister of health Diane Gashumba mentioned during its launch. Uwiragiye Vestine, a resident of Southern province told NONAHA.com that she wishes that this project to put an emphasis in family planning. These services will be implemented across the Rwandan healthcare system, including district hospitals, health centers, and through community health workers. The launch event also served as the official close-out of USAID’s 3-year, Maternal and Child Survival Program (MCSP). In coordination with other US Government funded activities in the health sector, over the last three years the Maternal and Child Survival Program ensured that over 170,000 children received treatment for diarrhea, and nearly 190,000 more received antibiotics for pneumonia, addressing two of the major causes of child mortality and roughly 250,000 women received uterotonics at the time of child birth to prevent and treat postpartum hemorrhage, the leading cause of maternal deaths. The new Ingobyi project will expand and build upon the successes of the Maternal and Child Survival Program. By standardizing a suite of healthcare services across 20 districts, the project is expected to help the Government of Rwanda achieve the goal of ending all preventable child and maternal deaths by 2035. Health facilities will benefit through their improved capacity to deliver quality services.